This guide will show you step-by-step how to setup a serial RS232 communication link between your computer and a Serial Bluetooth adapter. 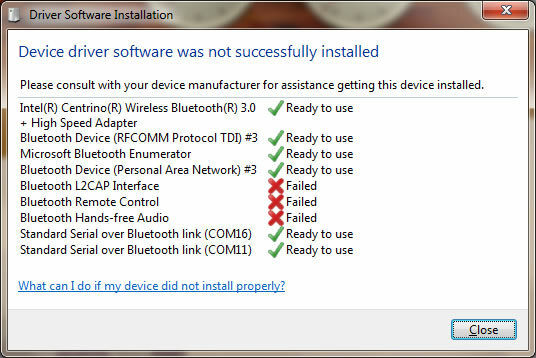 This information is based on Windows 7 and the UCBT232B/EXA Serial Bluetooth adapter from U.S. Converters, using a computer without built-in Bluetooth. 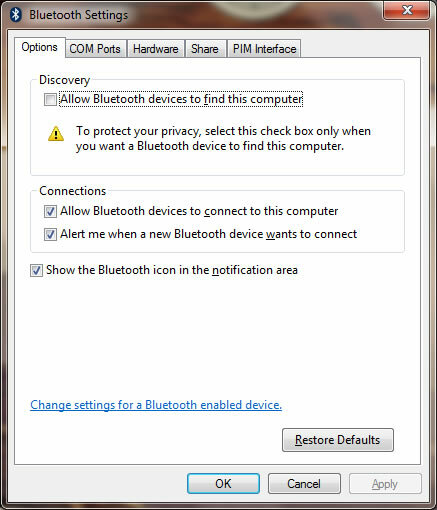 If your computer has built-in Bluetooth you can still use this setup guide however you do not need the USB Bluetooth dongle mentioned below. Lets first identify the products we need. 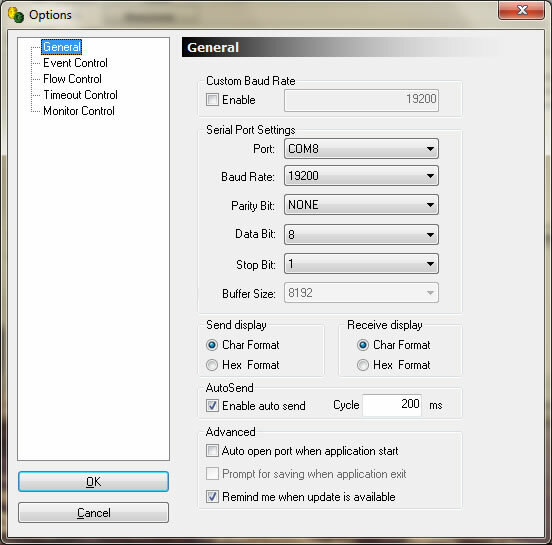 As mentioned earlier, if your computer does not already have built-in Bluetooth, you can instead use a USB Bluetooth dongle (part number BLDONG or BLDONG2). Plug-in the dongle to your computer's USB port. 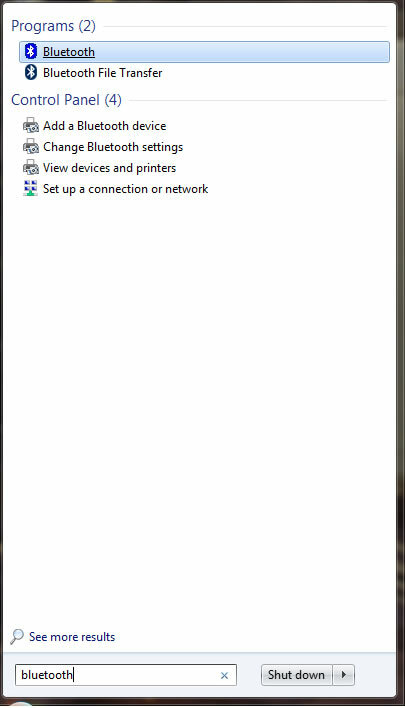 Windows should now search for the drivers for the USB Bluetooth dongle, (you may need to be connected to the internet). 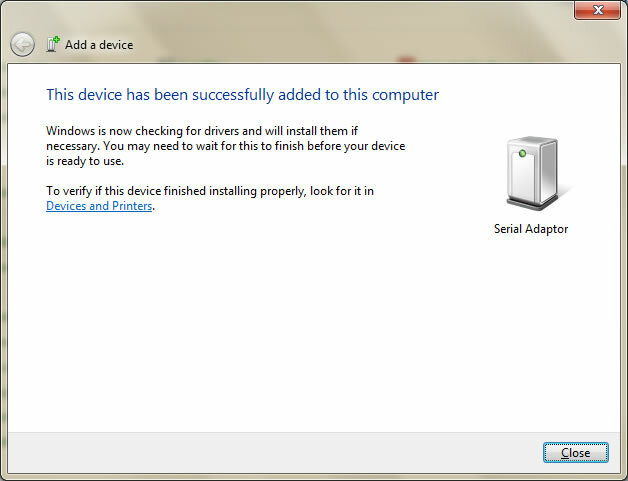 Windows automatically installing the drivers. 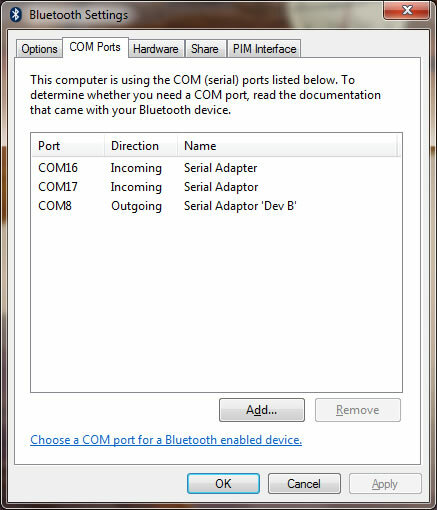 After the installation has finished successfully (there might be some failed control items as shown in the image above, you do not need to worry about this) you will be able to see two COM ports in Windows Device Manager. One is an outgoing port and the other is an incoming port. 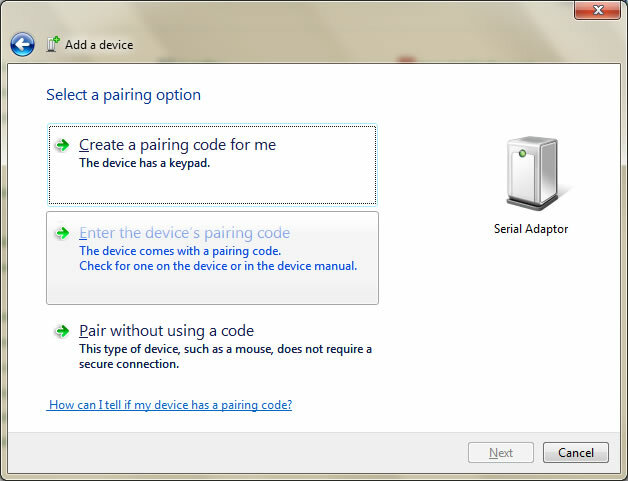 Both are virtual COM ports created by the Bluetooth drivers and the dongle. 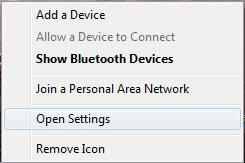 Now enter the word "Bluetooth" in the start menu and click the Bluetooth link that shows up. 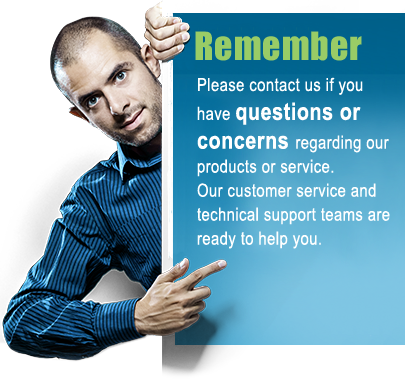 This will start Windows default Bluetooth management software (if this has successfully been installed on your computer). 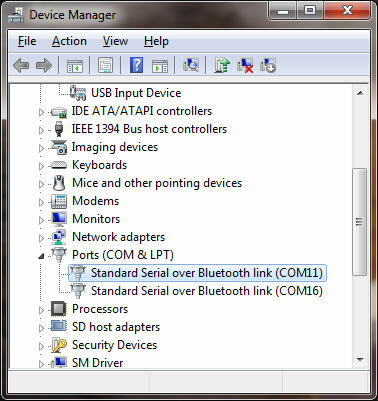 Under the COM ports tab you will see the USB Bluetooth dongle's virtual COM port, in this case COM16 port has been assigned by the system (as you also could see in Device Manager). Only one of the virtual COM ports is shown. Problems with Adding / pairing a Bluetooth Deivce. 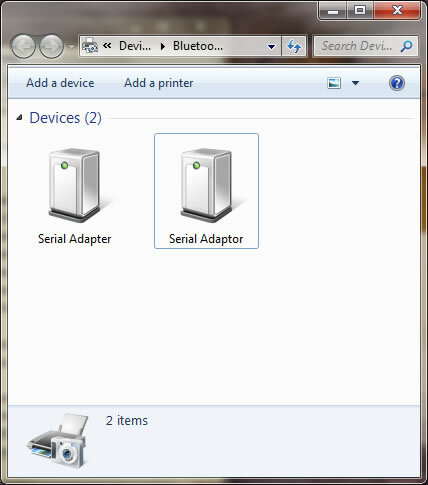 In the above picture the right icon called (Serial Adaptor) is the serial Bluetooth adapter, the left-side icon is the serial Bluetooth dongle. 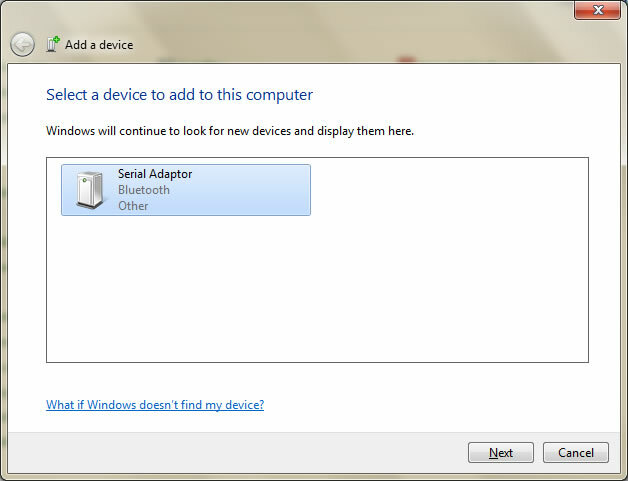 Remove only the serial Bluetooth adapter (the right-side icon). Right-click the icon and chose "Remove Device" to remove it. Now you can again try to add the serial Bluetooth adapter by clicking the Bluetooth icon in the task bar and chose "Add Device" from the menu. Determining and Changing the COM port number. COM16 shown above is the USB Bluetooth dongle. 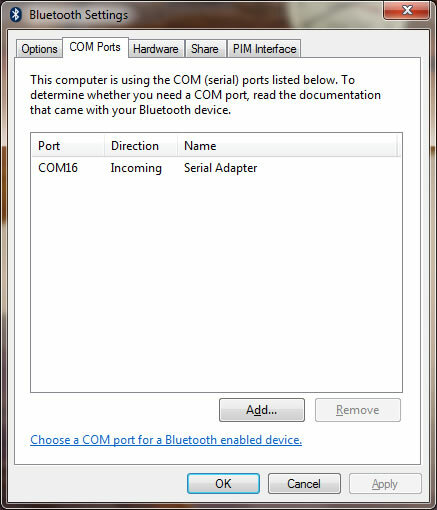 If you wish to change the COM port number from COM 8 to for example COM2 then you can do so in Device Manager. Right-click the COM port listed under Ports (COM & LTP) in Device Manager and chose "Properties". Under the "Port Settings" tab click the "Advanced" button, you can here change several settings including the COM port number. Testing the adapter by making a loop-back test. A loop-back test is a simple test to find out if the serial Bluetooth adapter is successfully linked and properly working. Click OK. AccessPort will now connect to COM8 which is the serial Bluetooth adapter. The blue LED light on the serial Bluetooth adapter will turn from flashing to steady ON. 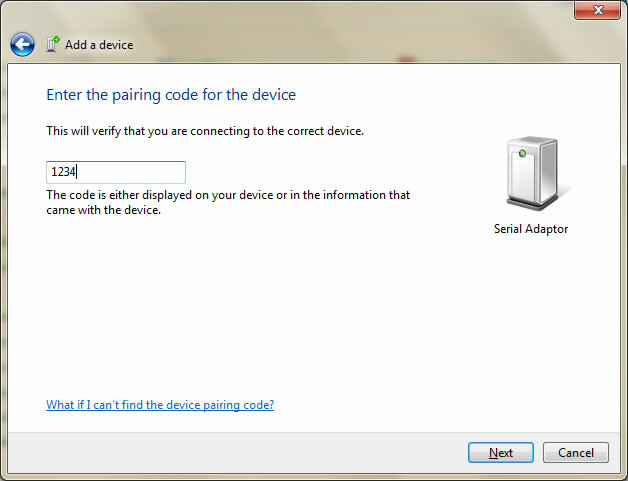 This means that the serial Bluetooth adapter is paired and connected to our computer via Bluetooth. If you loop the TX and Rx signals (pin 2 and 3) on the serial Bluetooth adapter you should now get a response back from the adapter as shown above. 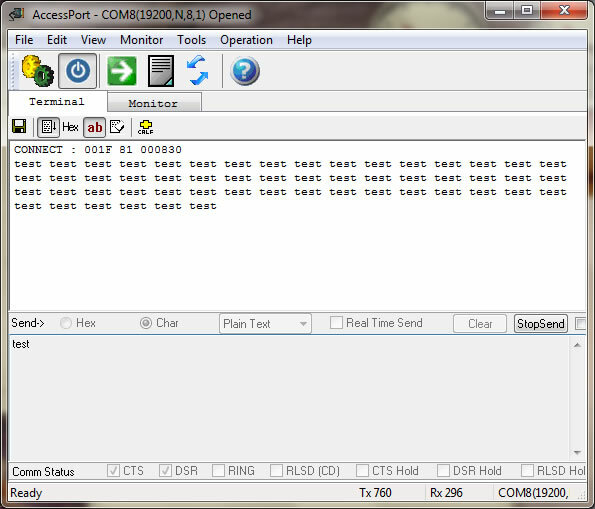 This indicates that the serial Bluetooth adapter has been properly connected and can communicate successfully.